The TATEGAMI-Class fleet salvage and repair tugs OJIMA and NAGAURA performed towing, salvage and limited repairs. The somewhat smaller HASHIMA-class fleet salvage and repair tugs FUTAGAMI and KASASHIMA served as harbor tugs and also performed salvage and repairs. 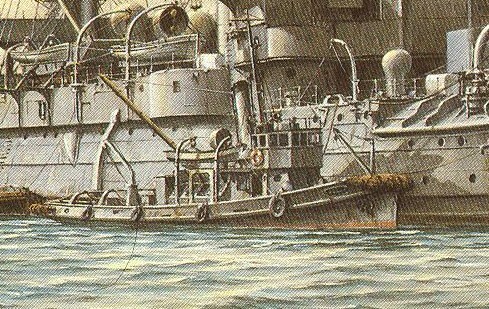 The former Dutch Gouvernementsmarine ships POOLSTER and ALBATROS were sunk by the Dutch in Mar '42 to deny their use to the Japanese invaders, but both were refloated and put into IJN service as salvage and rescue vessels HOREI and ARABATO MARUs respectively. Mr. Robert Hackett is a military historian and researcher. He resides in the United States.